The life expectancy of an Air conditioner or A/C unit is quite short considering the cost. With proper installation, proper location and regular maintenance, it is possible to get many years well beyond its normal life and with some luck, having little to no major expenses. 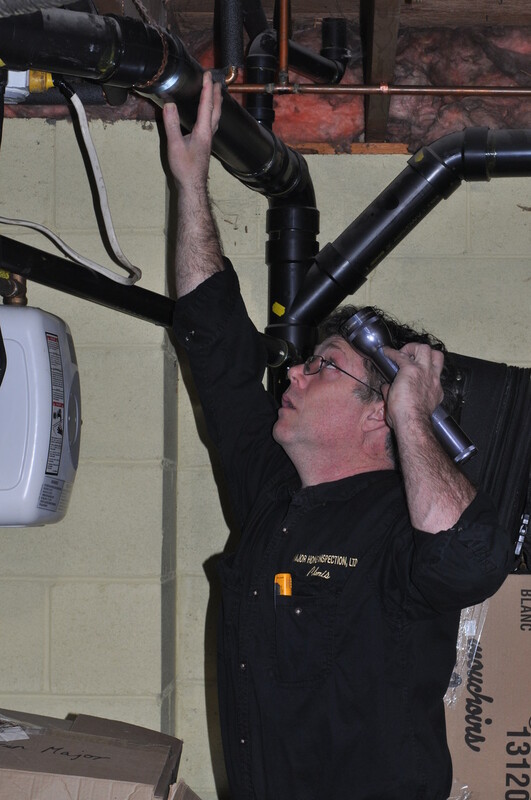 Many times inspections expose poorly installed units which are improperly positioned or have too much amperage available exceeding the rating plate’s maximums. Getting the original manuals are possible by searching the internet. These would help in finding what clearances are required around the unit and above the unit. Generally we look to have a minimum of 12” on the sides with condenser fins and 4’ to 6’ above. In other words, having a wall, vegetation or outbuildings too close could affect the proper operation. Having the unit placed below a deck, for example, could be problematic and may even shorten the life of the A/C unit. We also recommend that the clothes dryer does not terminate within 10’ of the appliance. The obvious lint produced by the dryer would stick to the condensing unit. It’s also imperative that the unit be maintained on a level surface. This should be checked yearly when you turn the unit on from the outside shut off and making sure any cover used is removed. To check the proper amperage to the appliance, look on the rating plate for the “maximum fuse size”, 15, 20, etc. and then check your electrical panel for the breaker. It should be clearly marked A/C. Confirm that this number is no greater than what the certified rating plate demands. To help achieve maximum life out of your, A/C follow the manufacturer’s instructions. We recommend that you never start your A/C before summer has truly arrived. A good rule is to wait until the outside temperature has maintained 65 degrees or 17 Celsius for the past 24 hours. Make sure the appliance is uncovered, level and is in good order. Check the fins for damage and dirt etc. and of course have the unit serviced regularly and consult the manufacturer’s instructions. Cool! It's that time of year again when people migrate to their secondary homes in the region, such as cottages and hunt camps. After conducting many home inspections and W.E.T.T. (wood energy technology transfer) inspections in these homes away from home, one cannot ignore the common problems often seen. It appears that many times the levels of safety are not equal to what people would insist upon at their main residence. 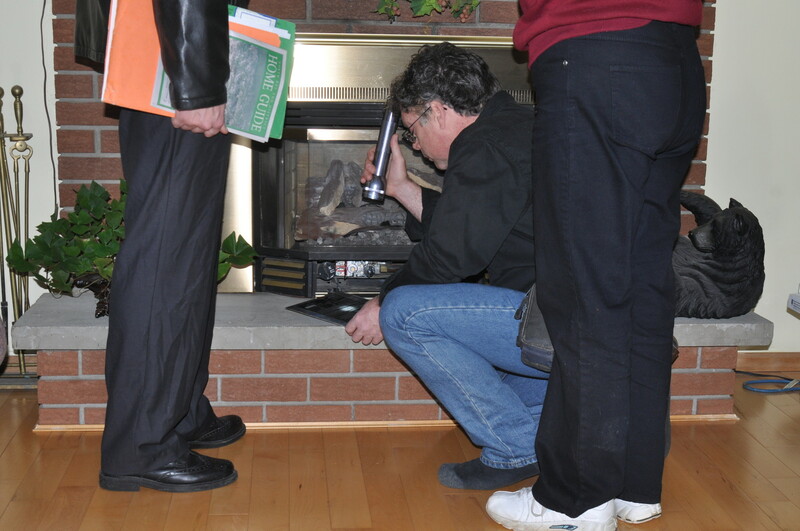 Wood stoves are often an old, unwanted unit given by well-intentioned people. They can come with used venting and often the chimney is an improper length and may not be rated for wood. Other concerns are improper clearances to combustible material, at times little to no ember (spark) protection or attic shields, and a lack of carbon monoxide and smoke detectors. Often the location of these cottages camps etc. are remote with limited fire protection or even emergency services. 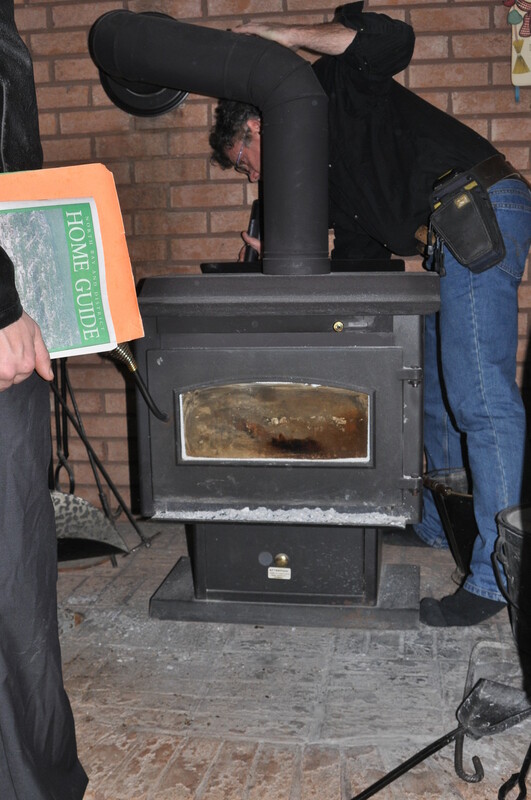 Coupled with the fact that the users may have limited experience with wood stoves and may have invited guests that have no idea that the infrastructure around them may be unsafe can create the perfect storm for a preventable incident. Find out the requirements for the safe installation and operation of a wood stove and have at least all the safety’s you would have in your residence. Make sure invited guests have a good knowledge of the operating systems and safety plans should they have to act. Make sure that before handing the keys over to a guest to stay at the cottage, that they have all the required information before and at the cottage to make it safe. Call your local W.E.T.T. technician with any questions you have. Have fun and be safe. For more info refer to "A guide to residential wood heating"
Regardless of the on and off spring weather, local conditions now allow us to deal with the pressing issues I’ve been seeing in the Blue Sky Region caused by the extreme weather and temperature fluctuations experienced this winter. I strongly suggest to take a walk around your property. Find a good vantage point to look at your shingles and valleys. Are any shingles curling? Have any dislodged over the winter? If there are possible concerns with shingles nearing the end of their life, the observation should be done from the roof. Remember safety first! Your wood surfaces took a beating this year. All that cyclic freezing and thawing can cause water to penetrate deep and then expand. Are there any signs of rot, delaminating (separating), cracking…? Walk around the house; don’t neglect the side bordering the neighbour’s or areas difficult to access. Look for deterioration on your deck’s boards, railings, supports as well as on your wood trim and siding. Look for signs of bird and insect damage. Areas where the wood is in contact to the ground may have wicked moisture causing rot and insect problems (use a nail or sharp object to probe if needed). Metal trim may have come loose over the winter. It’s best to fix it now before the wind damages it beyond repair. This includes the fascia (metal trim along the overhang that faces you), the soffit (metal under the overhang), and the gutters (eaves troughs). An ounce of prevention is worth a pound of cure as it can be difficult to match up new trim with old. Don’t let the summer storms finish what last year’s winter started. This year I’ve seen many retaining walls showing signs of movement (refer to retaining walls in your report on page B). Getting water away or redirecting it around is key; don’t let it pass through. Even well-built retaining walls can fail if the grading of the land has changed or ponding occurs. Most, but not all, issues I see is the hydraulic effect of the water behind the wall. Clay bricks are prone to spalling (flaking) once they absorb water and freeze. This is another potential casualty of our recent weather extremes. Around the foundation look for ponding or water deposited sediment and leaves. This suggests that ponding had occurred. Try to achieve 1” grading per foot for 5’ to 6’ from your foundation to help eliminate this ponding. With the information gained, you can properly manage the hazards of our unpredictable Northern Ontario weather and batten down the hatches before the summer storms hit. Like my mother always told me “The hardest part of the job is starting it”. Start by having a walk around the exterior of your house. How hard is that?